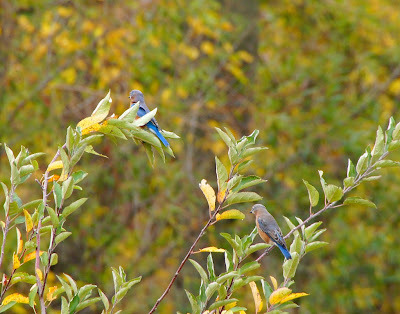 The bluebird photo may not be perfect, but it is lovely, Misty, and the posing yellow-rump is perfect. Misty, they are lovely bird. And you captured them well. Have a wonderful weekend! You captured two good moments. I love birds and the second picture was excellent. Wow - wonderful shots! The details on the warbler are lovely. Sweet shots Misty. I hope to be back next week. I love the bright blue and yellow on these birds! Great shots! 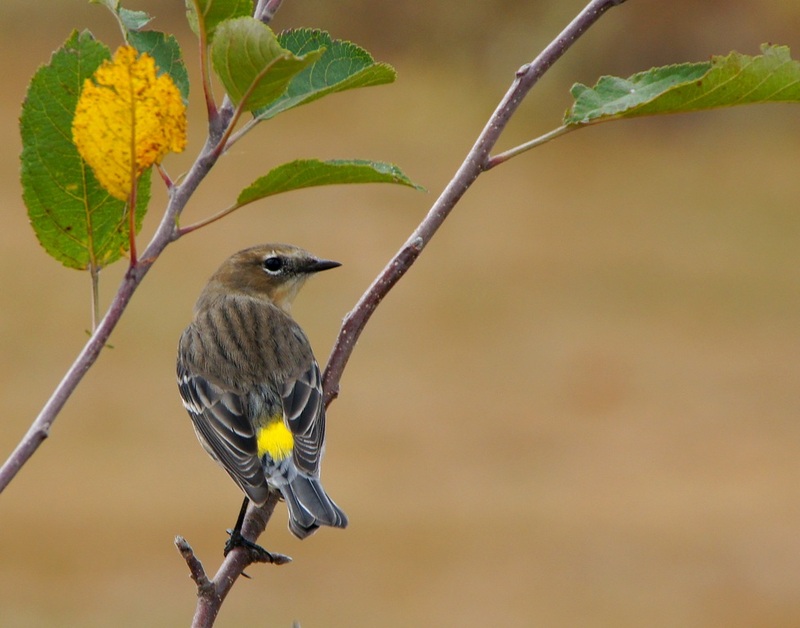 Bluebirds are so beautiful, but I also like the Yellow Rumped Warbler. Great photos, thanks for sharing. The bluebird is beautiful, but weren't you lucky that the warbler likes to pose for photos! Found you on Camera Critters! Wonderful capture of these beautiful birds. Love how you've framed the second shot. I haven't been able to get a good bluebird shot all summer and I've had opportunities. Same as you, when I raise my camera, they fly away. Love the yellow rumped bird. New one for me! I think your eastern bluebirds are more colorful than ours. As compensation, the western bluebird is better about posing. They are both really fantastic! Wow! Great shots I love the little yellow rump bird.